Leading restaurant furniture supplier helps Albany restaurant with their grand opening by supplying them with new restaurant chairs, bar stools and US made table tops. Leading restaurant furniture supplier Affordable Seating recently helped Capital City Gastropub with their successful grand opening by supplying them with new commercial chairs, bar stools and US made tables. Capital City Gastropub is located in the Capital District of downtown Albany, New York. They serve gourmet food and drinks in a unique and comfortable pub restaurant environment. They use local produce, dairy, and meats grown by local farmers to ensure the best tasting and freshest food They also have a wide selection of craft and imported beers, many of which are on tap. 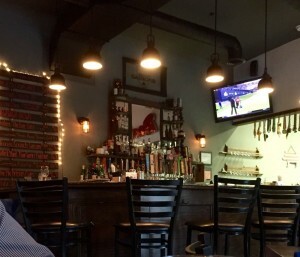 As a venue that brings in a wide variety of customers and experiences heavy traffic, Capital City Gastropub was looking to furnish the restaurant with quality American made restaurant furniture,” Affordable Seating sales representative David explained. “They were also looking for quality furniture that would fit with the restaurant’s wood decor. The owner turned to Affordable Seating and bought restaurant chairs, bar stools and wood tables. The owner turned to Affordable Seating because of their reputation for excellent quality and customer service. For seating he ordered Affordable Seating’s Metal Ladder Back Chair and matching Metal Ladder Back Bar Stool with black frame finish and solid wood seats in walnut finish. The frame for the Metal Ladder Back Chair comes in 5 standard finishes. The chair and bar stool also come with the option of a solid wood seat or an American made padded seat made of high density foam. The Metal Ladder Back chairs sells for $31.50. The matching Metal Ladder Back Bar Stool sells for $49.99. For tables, the owner ordered Affordable Seating’s Premium Solid Wood Butcher Block Table Tops in matching walnut finish and eased edge. The solid wood table tops are made in the USA and come 1.5” thick. The tables come in 5 standard finishes and in many sizes. Customers can also choose a bullnose edge. He also bought table bases which are sold separately. 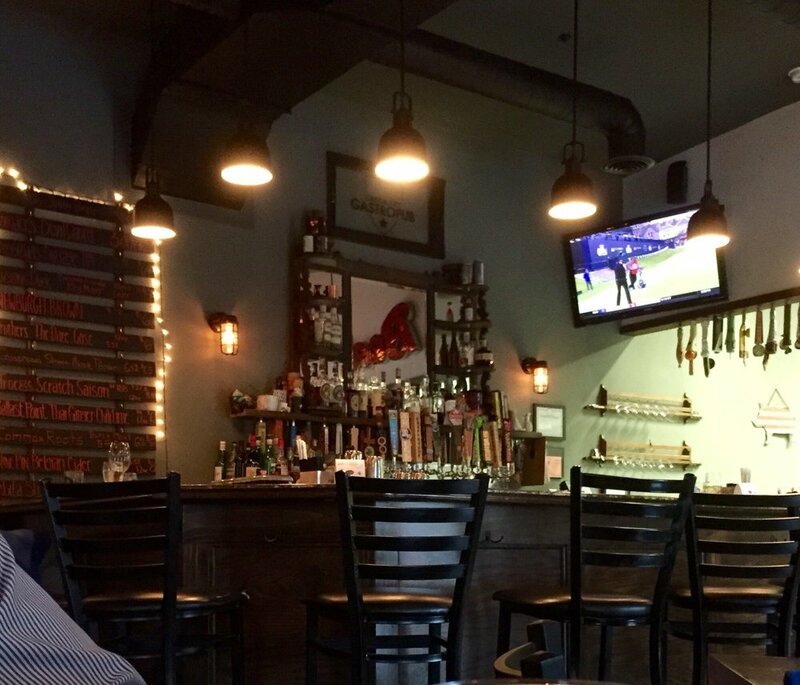 Capital City Gastropub is located at 261 New Scotland Ave. in Albany, NY They can be contacted at: (518) 407-3184.